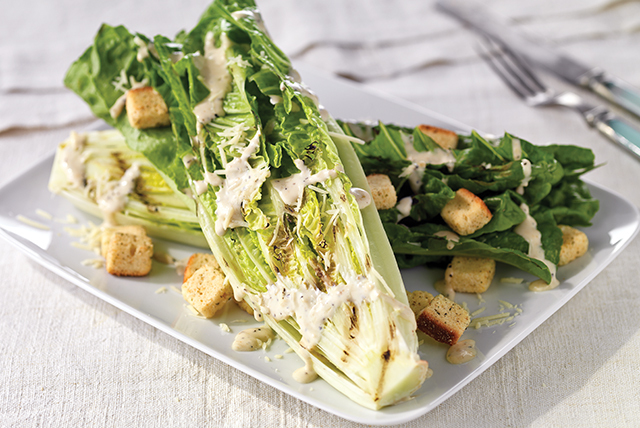 Place lettuce, cut sides down, on barbecue grate. Grill 3 to 4 min. or until lightly grill-marked on both sides, turning after 2 min. Cut lettuce pieces in half; place on platter. Drizzle with dressing; top with croutons and cheese.